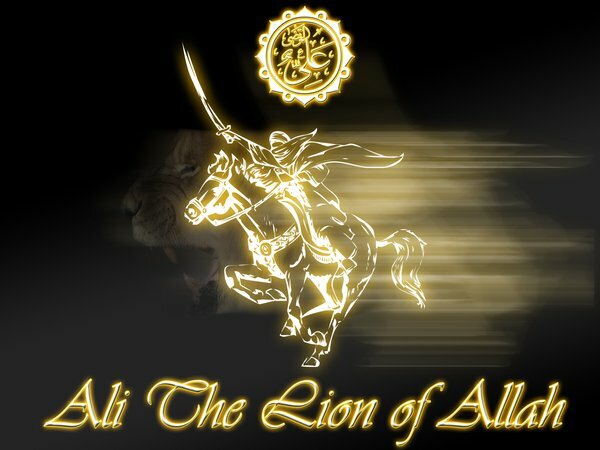 THE COMPANION: Saidina Ali Ibn Abi Talib RA - The Lion of Allah. Saidina Ali Ibn Abi Talib RA - The Lion of Allah. Saidina Ali Ibn Abu Talib Karramallahu Wajhahu was the young cousin of Rasulullah SAW. This child, who greatly admired his older cousin, grew into a noble warrior for Islam, a knowledgeable judge, a remarkable exegete of Quran and a righteous leader of the Muslim nation. Saidina Ali Ibn Abu Talib Karramallahu Wajhahu was born in Makkah around the year 600 CE. His father was Abu Talib, Rasulullah’s uncle and staunch supporter. When Saidina Ali Ibn Abu Talib Karramallahu Wajhahu was a young child, a great famine ravaged the area around Makkah, food was scarce, and many families were unable to feed and clothe their children. Muhammad, who was not yet a prophet, offered to nurture and care for his young cousin. Consequently, Saidina Ali Ibn Abu Talib Karramallahu Wajhahu was raised by Rasulullah SAW and his first wife Sayyidah Khadijah RA. Saidina Ali Ibn Abu Talib Karramallahu Wajhahu adored his older cousin and followed him around copying Rasulullah’s actions. As he grew older, Saidina Ali Ibn Abu Talib Karramallahu Wajhahu also began to emulate Rasulullah’s noble ways. When Saidina Ali Ibn Abu Talib Karramallahu Wajhahu Ali was around 10 years of age, Muhammad received the first revelations of the Holy Quran from God Almighty. Saidina Ali Ibn Abu Talib Karramallahu Wajhahu was there with his cousin when Rasulullah SAW, revealed to his family that he had been called to be the Messenger of God. 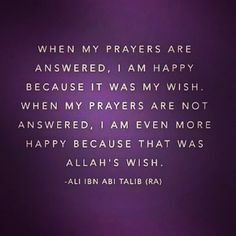 It is said that Saidina Ali Ibn Abu Talib Karramallahu Wajhahu witnessed Rasulullah SAW and Sayyidah Khadijah RA praying to Allah SWT and that he asked about what he had seen. 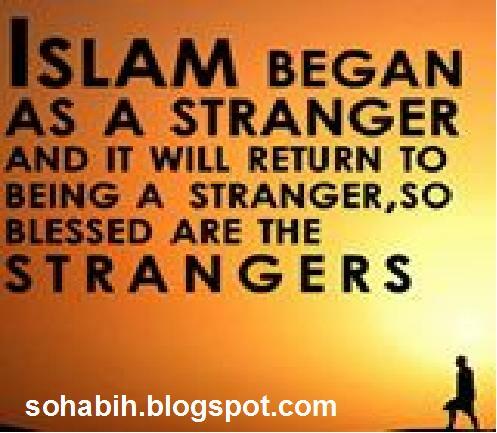 As soon as Rasulullah SAW explained the message of Islam to his young cousin, Saidina Ali Ibn Abu Talib Karramallahu Wajhahu accepted it as the truth. However, before he embraced Islam he thought deeply about what his father’s reaction would be. The next morning Saidina Ali Ibn Abu Talib Karramallahu Wajhahu testified that there was no god worthy of worship but Allah and that Muhammad was His messenger. Saidina Ali Ibn Abu Talib Karramallahu Wajhahu has the honor of being the first child to accept Islam. Some scholars of Islam believe that Saidina Ali Ibn Abu Talib Karramallahu Wajhahu may have been older than 10 years when he accepted Islam, therefore you may read in various texts that Saidina Ali Ibn Abu Talib Karramallahu Wajhahu was the first youth to embrace Islam. Nevertheless, Saidina Ali Ibn Abu Talib Karramallahu Wajhahu age is not of primary importance, what counts the most is that he was a bright and clever young man, eager to learn and eager to worship Allah SWT in the correct manner. Many scholars point out that Saidina Ali Ibn Abu Talib Karramallahu Wajhahu was one of many young men and women around Rasulullah SAW who had never been initiated into the idolatrous rituals of the pre Islamic Arabs. 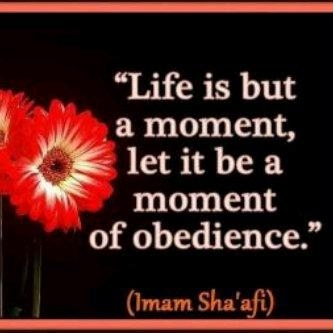 Saidina Ali Ibn Abu Talib Karramallahu Wajhahu never prostrated before anything or anyone but Allah SWT. Saidina Ali Ibn Abu Talib Karramallahu Wajhahu spent his childhood with Sayyidah Fatimah Az Zahra RA, the youngest daughter of Rasulullah SAW and Sayyidah Khadijah RA. Some years later when the Muslim community had migrated from Makkah to the city of Madinah Saidina Ali Ibn Abu Talib Karramallahu Wajhahu went to Rasulullah SAW and proposed marriage to Sayyidah Fatimah Az Zahra RA. Saidina Ali Ibn Abu Talib Karramallahu Wajhahu however was upset by the fact that he was very poor and had nothing of value to present to Sayyidah Fatimah Az Zahra RA as a bridal gift. Rasulullah SAW reminded him that he had a shield, to sell. Saidina Ali Ibn Abu Talib Karramallahu Wajhahu sold the shield to Saidina Uthman ibn Affan RA and was about to run excitedly back to Rasulullah SAW when Uthman stopped him and returned his shield, offering it as a marriage gift to Saidina Ali Ibn Abu Talib Karramallahu Wajhahu and Sayyidah Fatimah Az Zahra RA. It is believed that Sayyidah Fatimah AZ Zahra RA and Saidina Ali Ibn Abu Talib Karramallahu Wajhahu were in their middle to late teens when Rasulullah SAW himself performed their marriage ceremony. Rasulullah SAW invited all his relatives for a meal; after they had eaten he addressed them and asked who from his family would join him in Allah’s cause? None had the courage to answer but a boy in his early teens. Saidina Ali Ibn Abu Talib Karramallahu Wajhahu was that boy and he stood tall in the face of laughter and derision and expressed his desire to help Rasulullah SAW in whatever way he could be of service. In the difficult times that lay ahead, Saidina Ali Ibn Abu Talib Karramallahu Wajhahu Ali stood firm, and repeatedly demonstrated his courage and love for Allah SWT and His Rasul. When the disbelievers of Makkah planned to kill Rasulullah SAW, it became necessary for him and Saidina Abu Bakr RA to leave Makkah under the cover of darkness. As they walked into the desert night it was the teenager Saidina Ali Ibn Abu Talib Karramallahu Wajhahu who slept in Rasulullah’s bed, knowing that at any minute there could be assassins attempting to murder him. Saidina Ali Ibn Abu Talib Karramallahu Wajhahu survived the night, and in the coming days, he returned the valuables that had been left in trust with Rasulullah SAW, to their rightful owners. Rasulullah SAW considered his young cousin to be amongst the bravest, trustworthy and pious of his companions. Soon afterwards, Saidina Ali Ibn Abu Talib Karramallahu Wajhahu joined his beloved cousin in Madinah. Rasulullah SAW so cherished his young cousin he called him by many fond and endearing names. The name that Saidina Ali Ibn Abu Talib Karramallahu Wajhahu Ali treasured most was Abu Turab (Father of Dust). Once when Saidina Ali Ibn Abu Talib Karramallahu Wajhahu was sleeping in the mosque courtyard, his back became covered with dust. 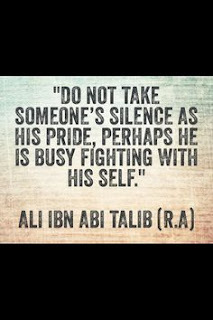 Rasulullah SAW approached him, pulled him to his feet, and wiped the dust of his back, laughingly calling him Abu Turab. 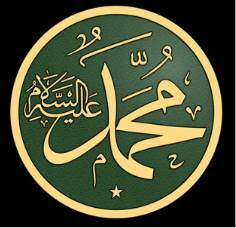 Rasulullah SAW also called Saidina Ali Ibn Abu Talib Karramallahu Wajhahu - Haidarah (the lion). Rasulullah’s young shadow grew into a respected warrior for Islam. 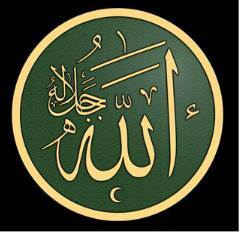 Saidina Ali Ibn Abu Talib Karramallahu Wajhahu was the fourth rightly guided Caliph. Saidina Ali Ibn Abu Talib Karramallahu Wajhahu followed in the footsteps of Rasulullah SAW, Saidina Abu Bakr RA, Saidina Omar Al Khattab RA, and Saidina Uthman ibn Affan RA, and ruled the Muslim Empire, according to the divinely revealed law of Allah, from approximately 656 to 661 CE. Saidina Ali Ibn Abu Talib Karramallahu Wajhahu was the young cousin and son in law of Rasulullah SAW. He spent his childhood emulating the noble character of his beloved cousin, and his youth learning the details of Islam. Saidina Ali Ibn Abu Talib Karramallahu Wajhahu Ali grew into a noble warrior; physically strong and assertive but with a humble heart, filled with love for Allah and His messenger Muhammad. 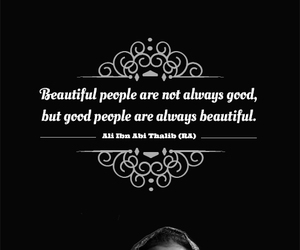 Muslims remember Saidina Ali Ibn Abu Talib Karramallahu Wajhahu Ali for his courage, his honesty, his generous and kind behavior towards others, and his unswerving devotion to Islam. After the migration to Madinah, Saidina Ali Ibn Abu Talib Karramallahu Wajhahu married his childhood companion Sayyidah Fatimah Az Zahra RA, daughter of Rasulullah SAW. The young couple led a simple and austere life, for Saidina Ali Ibn Abu Talib Karramallahu Wajhahu did not care for material wealth, rather he was focused on pleasing Allah and attaining everlasting life in the hereafter. They had no servants or slaves. Saidina Ali Ibn Abu Talib Karramallahu Wajhahu drew and carried water and Sayyidah Fatimah Az Zahra RA would grind the corn until her hands were rough and sore. Once when the young couple approached Rasulullah SAW asking for a servant he rebuked them by saying that he could not give them such luxuries when hungry poor people filled the mosque. Saidina Ali Ibn Abu Talib Karramallahu Wajhahu and Sayyidah Fatimah Az Zahra RA returned home feeling quite dejected. That evening Rasulullah SAW visited Saidina Ali Ibn Abu Talib Karramallahu Wajhahu and Sayyidah Fatimah Az Zahra RA in their home. Rasulullah SAW sat on the edge of their bed and taught them words of remembrance with which to praise Allah SWT. Rasulullah SAW assured them that remembering Allah SWT would be more beneficial for them than a servant or slave to ease their workload. Saidina Ali Ibn Abu Talib Karramallahu Wajhahu never forgot the words of advice given to him that night, later in his life he said that not a night passed that he did not recite those words before sleeping. Saidina Ali Ibn Abu Talib Karramallahu Wajhahu and his family went to great lengths to please Allah SWT, often they would go hungry themselves giving away all their food to people poorer than themselves. Saidina Ali Ibn Abu Talib Karramallahu Wajhahu’s generosity new no bounds, he treated everyone, friend or foe, with respect and kindness. Imam Ahmad described Saidina Ali Ibn Abu Talib Karramallahu Wajhahu as one of the most virtuous of Rasulullah SAW’s companions and Saidina Ali Ibn Abu Talib Karramallahu Wajhahu was known to be amongst Rasulullah SAW’s most staunch supporters. 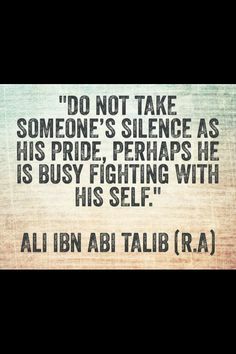 Saidina Ali Ibn Abu Talib Karramallahu Wajhahu deservedly became known as a strong warrior and he distinguished himself in the crucial first battle against the unbelieving men of Makkah, known as the Battle of Badr. The young lion of Allah participated in all the battles fought in the early days of Islam except on one occasion. It is reported in the authentic traditions of Rasulullah SAW that during the battle of Khaybar Rasulullah SAW bestowed a great honor on his young cousin. Rasulullah SAW informed his companions “tomorrow I shall give the standard (flag) to a man who loves Allah SWT and His Messenger and is also loved by Allah and His Messenger, he does not flee the battlefield, and Allah will bring about victory through him”. The companions of Rasulullah SAW spent the night wondering who the flag would be handed too. Omar Ibn Al Khattab is believed to have said that it was the only time he longed for leadership, but this particular honor belonged Saidina Ali Ibn Abu Talib Karramallahu Wajhahu. After Saidina Uthman Ibn Affan RA was murdered in the service of the Muslim nation, Saidina Ali Ibn Abu Talib Karramallahu Wajhahu was chosen as the fourth of those known as the rightly guided Caliphs. Many Muslims were eager for Saidina Ali Ibn Abu Talib Karramallahu Wajhahu to take on leadership but Saidina Ali Ibn Abu Talib Karramallahu Wajhahu was concerned that already the seeds of rebelliousness were being sewn among the believers. 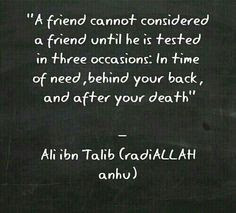 Saidina Ali Ibn Abu Talib Karramallahu Wajhahu hesitated until some of the companions who had been closest to Rasulullah SAW urged him on and gave him their support. The events surrounding Saidina Uthman’s RA murder had flung the young Muslim nation into a period that became known as the “time of tribulation”. Saidina Ali Ibn Abu Talib Karramallahu Wajhahu began and ended his Caliphate in times of trial and tribulation however; he remained true to his convictions and ruled in a manner that befitted the child who learned his morals and values at the feet of Rasulullah SAW. Saidina Ali Ibn Abu Talib Karramallahu Wajhahu was a profoundly religious man; he was devoted to Islam and strove in his daily life and his position as leader to uphold the Quran and the authentic traditions of Rasulullah SAW. War broke out amongst the Muslims and Saidina Ali Ibn Abu Talib Karramallahu Wajhahu found himself attempting to lead a nation beset with rebellion and in fighting. Throughout this time of civil strife and war, Saidina Ali Ibn Abu Talib Karramallahu Wajhahu was ever mindful of the great task that lay before him. Saidina Ali Ibn Abu Talib Karramallahu Wajhahu was responsible for the people of the Muslim nation. At this point is must be clearly noted that Saidina Ali Ibn Abu Talib Karramallahu Wajhahu and Saidina Uthman Ibn Affan RA were brothers in Islam, both devoted to Allah SWT, His Rasulullah and the religion of Islam. Both ruled the Muslim nation with humble hearts, austerity, and piety. However, their world was changing in dramatic ways and some of their actions were difficult to understand then and now. However, in retrospect it is clear that their love for Islam an Saidina Ali Ibn Abu Talib Karramallahu Wajhahu desire for the hereafter for all the believers was never in question Saidina Ali Ibn Abu Talib Karramallahu Wajhahu remained noble, courageous, and generous. Even in perilous times, he forgave his enemies and wanted only unity for the Muslim nation. Saidina Ali Ibn Abu Talib Karramallahu Wajhahu was murdered with a poisoned arrow. The assassin, who struck while Saidina Ali Ibn Abu Talib Karramallahu Wajhahu was praying in the mosque, brought to an end the life of the lion of Allah and the era of the four rightly Guided Caliphs. Saidina Abu Bakr Al Siddiq RA, Saidina Omar Ibn al Khattab RA, Saidina Uthman Ibn Affan RA, and Saidina Ali Ibn Abu Talib Karramallahu Wajhahu were men of noble statue and high moral fibre, they ruled with the Quran and the lessons taught to them by Rasulullah SAW. Sadly, the world is unlikely to see men such as these again before the end of days. Selected Video About Sayidina Ali Ibn Abu Talib Karamallahu Wajhahu.